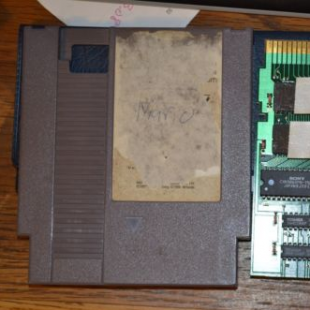 A recent eBay auction has ended with a gray cartridge version of Nintendo World Championship earning $99,902. For every generation of video games there are titles that, for one reason or another, wind up being rare commodities. Even in realm of rare games however, there are a few names that carry some special weight. Standing tall among those is Nintendo World Championship, a title so scarce and coveted that copies regularly rake in thousands when they appear. That being the case, a recent eBay auction involving a copy Nintendo World Championship has wound up being one for the record books, selling for an unbelievable $99,902. As long as this tremendous final bid holds up, this auction will claim the world record for the most expensive video game ever sold, supplanting a copy of the game Stadium Events which sold for $75,000 in 2012. What's particularly notable about this auction is the fact that this copy of Nintendo World Championship isn't even one of the rarest variety. While it and the 89 other gray-style NWC carts are obviously few in number, their uniqueness pales in comparison to the even less common gold version cartridges, of which there are only 26 in the entire world. The condition of the $99K cart also isn't the best. Typically adorned with an identifying sticker, the cartridge being sold has had its label pretty well destroyed. Even so, it was clearly worth a lot to someone and hey, if you've got that kind of money to spent on old Nintendo games who are we to begrudge you? Update: According to the seller Muresan, the winning bidder has retracted its $99,902 offer, calling it a "mistake." Muresan has, in turn, expressed frustration with eBay's policies and their focus on "100% buyer protection."